The 1970 victory of the Popular Unity government led by Salvador Allende in Chile marked the rise of the first democratically elected socialist government in Latin America. After years of social and political unrest, the election of the Allende government was seen as a beacon of hope by the Left, both in Chile and throughout the region. As the new president-elect took the stage to greet cheering citizens, a banner above his head read, "You Can't Have a Revolution Without Songs. " It was a powerful statement about the role of music in social and political change that had fueled the emerging popular musical movement in South America known as nueva canción (New Song Movement). First taking shape in the southern cone of South America during the late 1950s and early 1960s, nueva canción, also known as trova and canto, began as a proactive movement that contested the political dictatorships of the times. Declining social conditions in rural areas led people- primarily from Native communities- to move to cities. They brought with them distinct musical traditions that students and the middle class blended with other styles rooted in European culture to form new artistic hybrids that transcended class distinctions. These emerging musical styles became outlets to denounce political oppression. Evocative and poetic lyrics called for protest and sought active participation for social change. Elements of traditional culture and regional folk songs, reinterpreted by the literati, validated the region's marginalized Native cultures. Early nueva cancióneros often made use of folk instruments, such as the quena (Andean flute), zampoñas (pan-pipes), and the ten-stringed charango, to stress dignity and pride in Native cultural roots. 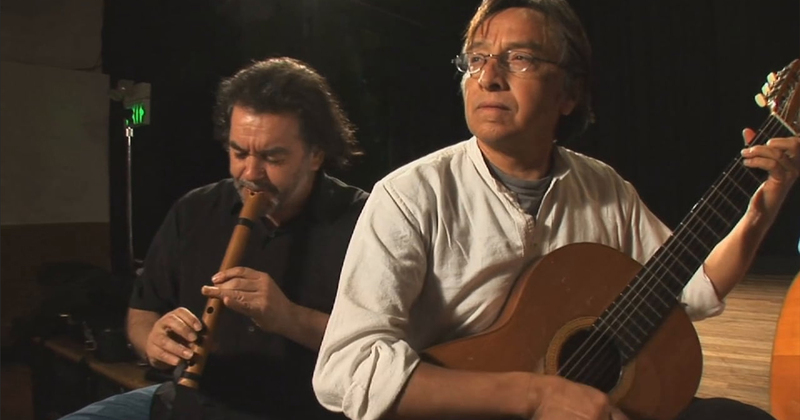 Pioneering ensembles Inti-Illimani and Quilapayun offer examples of the blending of traditional and popular styles of the times. nueva canción spread quickly throughout the region. Early "new songs" were seen as a reaffirmation of traditional culture through music, but as the genre spread it became more politicized and played an integral role in burgeoning social movements. The rise of totalitarian military governments in South America during the 1960s and 1970s brought increased political oppression and deteriorating social conditions. 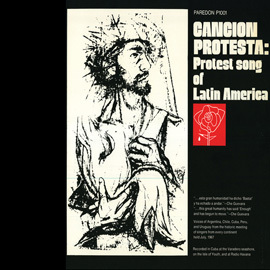 New singers and songwriters took up nueva canción as a means to express collective struggle in a time of violent repression. Increasingly, nueva canción lyrics spoke explicitly to issues such as poverty, imperialism, democracy, human rights, and religious freedom. In Chile, Violeta Parra became a driving force in the New Song Movement, singing Chilean folk songs detailing the worsening social conditions and the desire for freedom of expression. Parra's two children, Isabel and Angel, and artists such as Argentine-American Suni Paz became instrumental in picking up where the early nueva cancióneros had left off and continued to shape the distinctly political message that the genre is best known for. 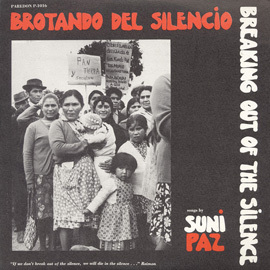 As nueva canción gained popularity in Argentina, Chile, and Uruguay, the appeal of the music as a popular means of protest and spur for positive social change grew in other regions of Latin as well. The poetic artistry of the lyrics and the music's foundation in rural Native cultures prompted many to see the New Song Movement as a genuine form of "people's music" that gave a voice to the community. The style was adapted to reflect the diverse political and social climates of many Latin American countries, especially in the Caribbean. Yet in every variation of nueva canción, emphasis on the use of traditional music remained. In Cuba, for example, where nueva canción became better known as trova or nueva trova, artists such as Carlos Puebla, Silvio Rodríguez, and Pablo Milanés drew upon the vast wealth of Cuban and Afro-Cuban rhythms to express their poetic calls for social change. 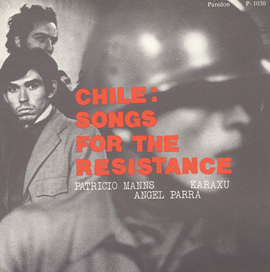 The political repression in Chile in the 1960s and 1970s forced artists and professionals- many of them former political prisoners- into exile in Canada, Europe, and the United States. 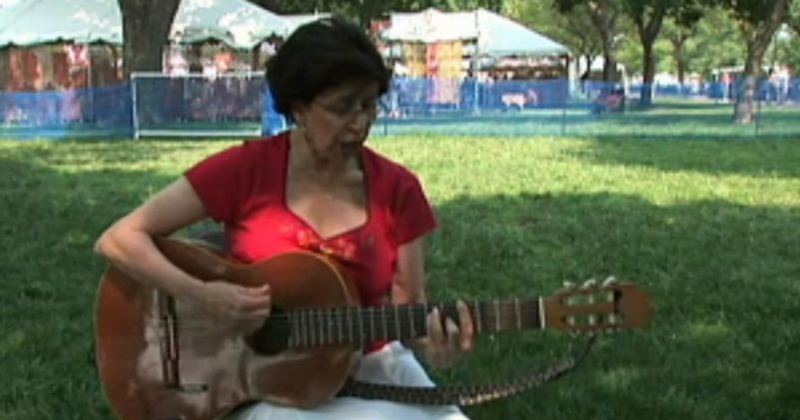 nueva canciónera Suni Paz moved to the United States and utilized music in curricula and to teach socio-political awareness to public school children in Southern California. 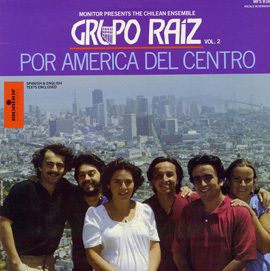 Activist-musicians Rafael Manríquez and Quique Cruz formed Grupo Raíz (joined later by Hector Salgado) to affirm and introduce Chilean nueva canción to the Bay Area and beyond. As musicians who had honed their poetic and musical talents at "café concerts" or peñas of their native Chile, they established La Peña, a community arts center in Berkeley, California. As the popularity of nueva canción grew throughout Latin America and the lyrics became increasingly explicit in political content, the ruling dictatorships took action against the musicians. In Chile, after the bloody 1973 coup that deposed the Salvador Allende government, dictator Augusto Pinochet outlawed the playing of many Andean instruments in an attempt to suppress the New Song Movement. Victor Jara, one of the most influential and popular artists in the New Song Movement, also became its greatest martyr when he was tortured and killed at the National Stadium in Santiago shortly after the coup. The popular ensembles Quilapayun and Inti-Illimani were forced to leave Chile and remained in exile for over 15 years. 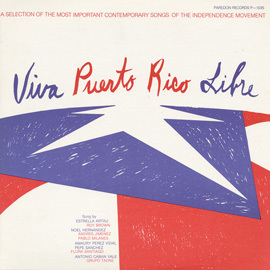 Even though many nueva cancioneros faced political oppression and censorship, the movement continued to grow and develop with new artists using nueva canción as a means of resistance. Nueva cancioneros throughout the Americas today continue to sing out against injustice with the same sense of urgency as the genre's founders. Above all, it is the hope for the future combined with the recognition of the past that continues to drive nueva canción and will guide its direction for years to come. Suni Paz creates music with a conscience out of her commitment to social justice and passion for education. More music from liberation groups around the world.